The possibilities for all the bloggers has been changed and in the future, we cannot predict what will happen. According to a few bloggers, the structure of monetization will change and it will give a very good impact in the internet marketing industry. Today we will talk about AdCash.com. A one stop solution for monetizing and publishing the advertisement. AdCash is one of the leading monetization solutions for Advertisers and Publishers. If we say about Google Adsense and its other competitions, AdCash will come on that same list. Here we will discuss each and every possibility about AdCash. But first, let's check out what AdCash offers extra. Add formats for all types of devices. Dedicated Android and iOS application. All 4 fundamental income models (CPM,CPL,CPA,CPC). In real values, AdCAsh is offering a lot more features for the Advertisers and its Publishers. The success of any add network depends upon its system, Advertisers and most importantly its Publishers. AdCash is very well organized and they have clients from such a very reputed companies like Alibaba, @mail.ru, SUBAGAMES, Big Point etc. AdCash offers CPC-based ads to its publishers. 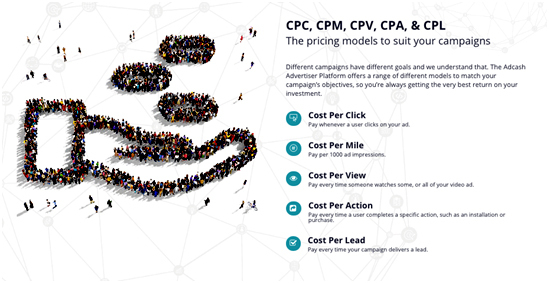 CPC stands for Cost per Clicks. It means when anybody clicks your adds then you will get paid by the merchant. Basically, Google Adsense provides the majority of CPC-based ads but AdCash is also one of the best competition of it. You will get paid for every time your ad is viewed 1000 times. It’s the basic CPM rates and AdCash is also providing this very well. The Video space is growing day by day and many publishers now choose the audio visual format for marketing. This is because people seems to like the audio visual format and its more efficient than text-based formats. AdCash also provides Cost Per View Architecture where if your video is viewed many times, that means you can earn a good amount of money for that. One best and unique features about this types of ads are that you can directly promote these types of ads through your properties like Blog, videos, and apps. Nowadays we can find that the app market is growing very fast and it's efficient to monetize applications with AdCash’s ad network very easily. Cost per lead is also one of the best ways to monetize for publishers. Cost per leads means collecting leads via any source of information like collecting email addresses, collection phone no etc. Email marketing is one of the prominent ways of digital marketing and it never turns its publishers wrong or disappointed. AdCash provides this features as well. If you can collect leads for the merchant then you will get paid for this. This was the different types of adds that AdCash provides. Basically, all those types of ads are very effective for marketers and publishers. Till now we discussed an its publisher’s benefits but if the advertisers cannot provide good deals then the publishers cannot promote their ads. This is the very basic funda of marketing. So, now let's take a look at how the advertisers work or what kind of features the advertisers get from AdCash. The advertisers will also get a tons of features from AdCash. Let’s discuss them here. Nowadays Publishers tries or tests different campaigns on different platforms. AdCash supports all types of major supports like Desktop, Mobile web, In App, or in stream media. Which is very much beneficial for the publishers as well as Advertisers too. The success of any ad network depends on upon its simplicity and effectiveness. AdCash is very much simple and effective. The dashboard is well organized and campaign creation is very easier than that of other Add Networks. Targeting means getting the best audience. Here Advertisers have the targeting options so that they can grab more profits from the publishers. Also, AdCash supports multi languages. Reporting is one of the ways that everybody wants to monitor. AdCash provides real-time monitoring solutions to its Advertisers as well as Publishers. For success, you need to try different types of ads for your properties. 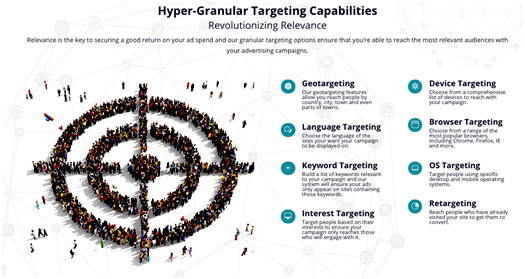 Here advertisers can choose the best defining ads for their campaigns. All types of adds are mentioned earlier. Payment is one of the major issues for some networks. But in this case, AdCash is maintaining this very well. 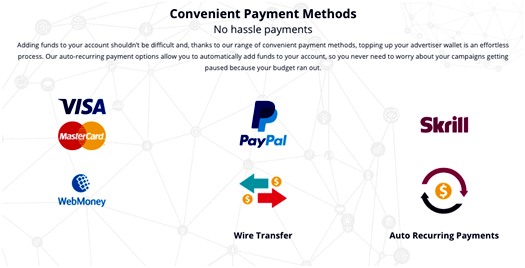 They support all kinds of major payments vendor like PayPal, Visa etc. These are the best features about AdCash. There are massive nos of Advertisement networks. But among them a very few are recognizable. Because it is very much difficult to handle each and every point or assets very well and with discipline. In our case, AdCash is maintaining each and every format very well so that users can get the best in the class environment for Publishing as well as Advertising. The Add Best Google Adsense is also provided the same features but which makes AdCash very unique is its Anti Adblock system. Nowadays lot of users use add block which prevents publishers to get the ultimate success. But AdCash comes up with a unique solution so that publishers gets the 100% profit throughout AdCash.com.